When your kiddo is storming the streets for Halloween treats this year, everyone will be yelling "The British are coming!" 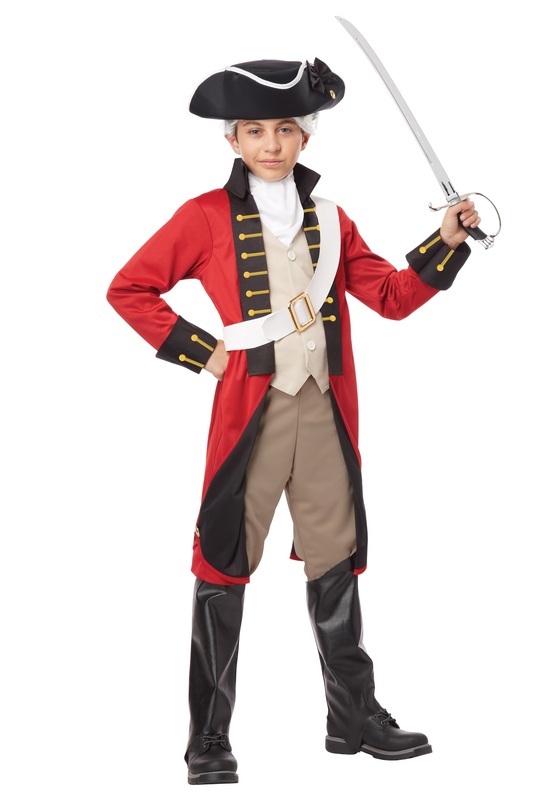 With this British Redcoat Costume for boys, your youngster can look like a soldier on the battlefield during the Revolutionary War. Every great story starts somewhere and the story of our nation's birth begins with a historic revolution. Grab this British Redcoat Costume for your tyke and boost his interest in the history of America. Before you know it, you'll have quite the little history buff on your hands!